THE VAULT’s contribution to the fun and excitement leading up to Breeders’ Cup 2011 will be in THREE instalments this week. 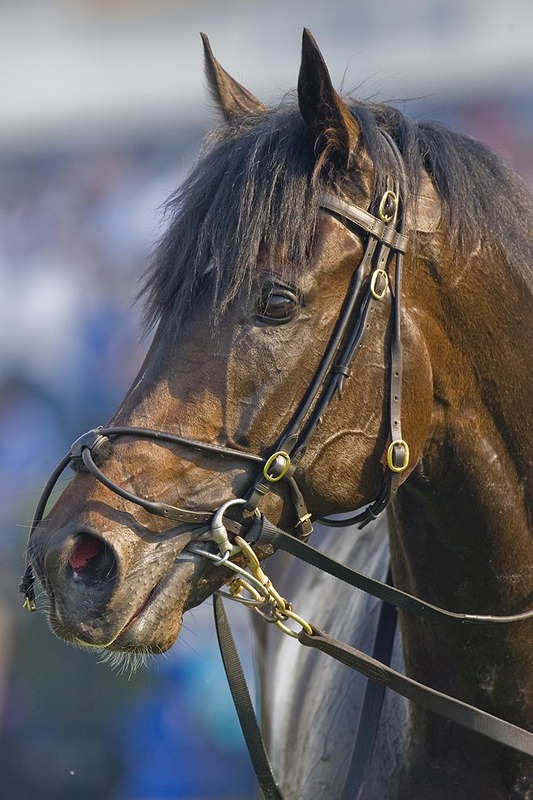 Each article offers a FANTASY FIELD of some great thoroughbreds from the past. Many of the photos come from THE VAULT’s collection. Three fantasy fields have been selected: the BC Turf Classic, the BC Ladies’ Classic and the BC Classic. It’s up to you, the reader, to pick your order of finish. Winners in all three races will be posted November 6, 2011 on THE VAULT. So … go ahead … study the field … and PLACE YOUR BETS!!!! The FANTASY field has been assembled and all have drawn their posts. Here, without further ado, are all 14 of the distinguished entrants……. 1. 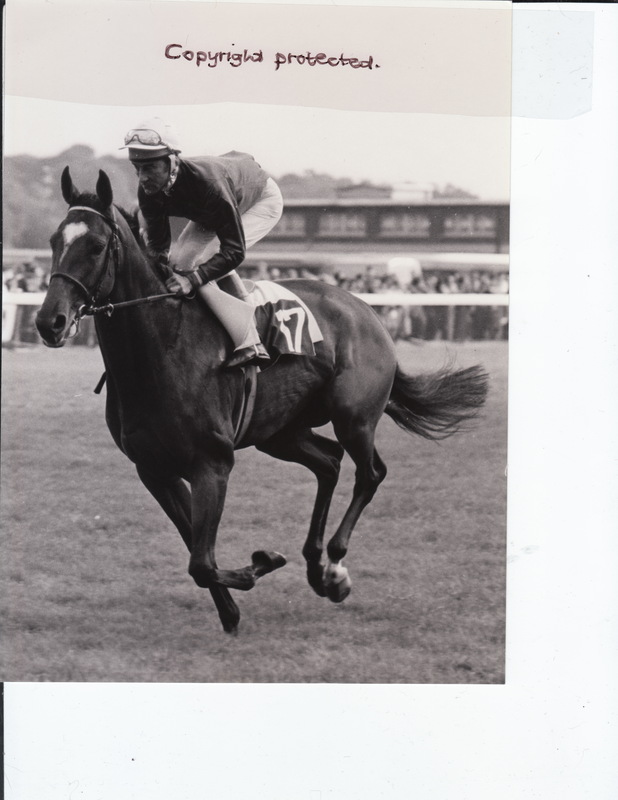 NIJINSKY II (Northern Dancer ex. Flaming Page) owned by Mr. Charles Engelhard and trained by Mr. Vincent O’Brien, enters the Turf Classic field fresh off his run in the Prix de L’Arc de Triomphe, which he lost by a nose to Sassafras. 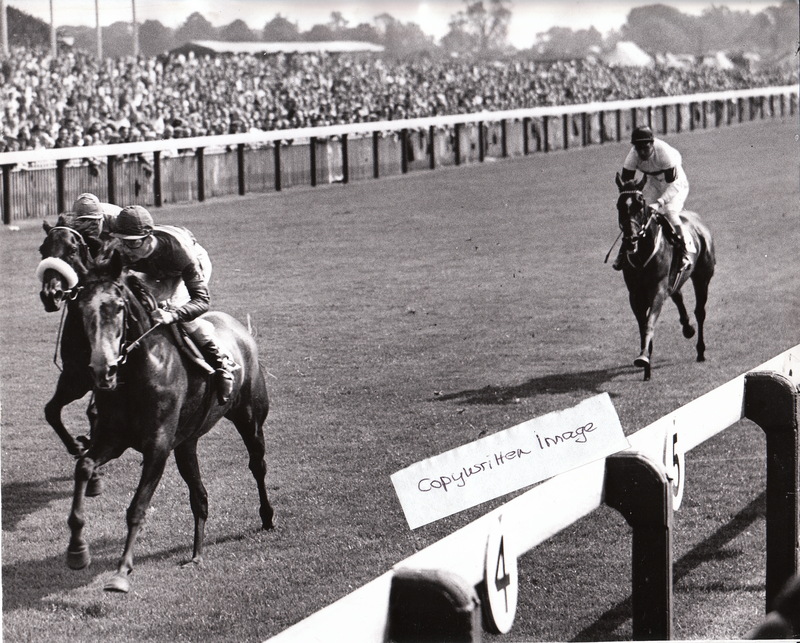 Nijinsky II won the British Triple Crown this year, the first to do so since Bahram, thirty-six years earlier. 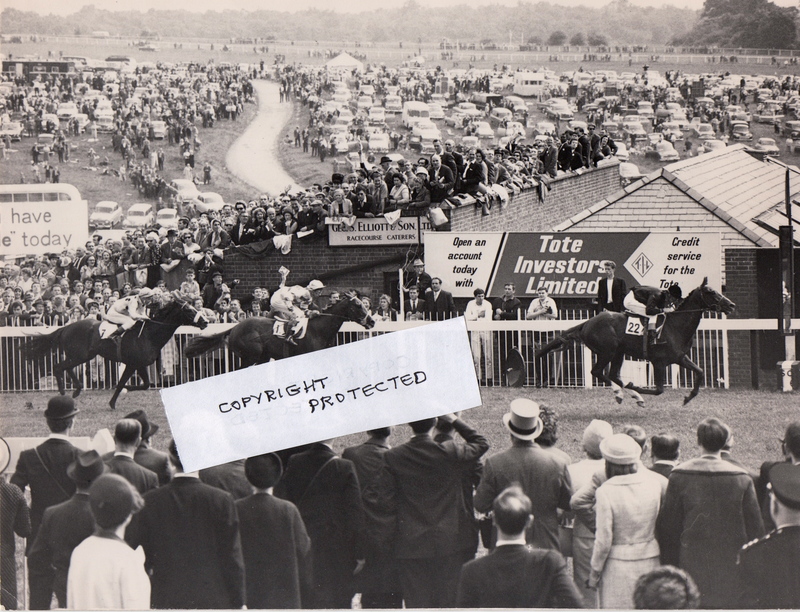 Ridden by Lester Piggott, Britain’s Triple Crown champion will break from Post # 7. 2. MAHMOUD ( Blenheim II ex. Mah Mahal) owned by the Aga Khan and trained by Frank Butters, Mahmoud enters the Turf Classic fresh off a disappointing second in England’s St. Leger. Winner of the Epsom Derby, the swift and spirited Mahmoud will be ridden from Post #5 by Charlie Smirke. 3. PAPYRUS (Tracery ex. Miss Mattie) owned by Mr. Benjamin Irish and trained by Mr. Basil Earnest Jarvis is a grandson of Rock Sand. A seasoned runner, Papyrus has finished in the money 14 times out of 18 starts. The colt will be ridden by Steve Donoghue, his usual rider, and breaks from Post #2. 4. 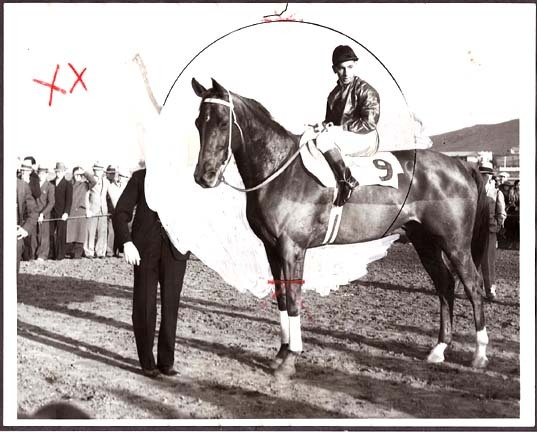 PHAR LAP (Night Raid ex. Entreaty) is trained by Mr. Harry Telford, who is also a co-owner of the gelding, together with Mr.David Davis. Phar Lap is fresh off a stint in Central America and is one of the oldest entrant in the field at age 6. The speedy New Zealand-bred has chalked up some 51 starts, racing almost all of these in Australia. In fact, the gelding has pretty much won every major race there! Phar Lap will make his American debut without his trainer, however — Mr. Telford is home in Australia. He may be the senior in the field — and he may lack a trainer — but don’t overlook this globetrotter! Phar Lap will be ridden by Tommy Woodcock, his usual rider, and breaks from Post # 8. 6. KELSO (Your Host ex. Maid of Flight by Count Fleet) is owned by Mrs. Allaire Du Pont’s Bohemia Stable and trained by Carl Hanford. The incomparable Kelso may be the only American bred and owned thoroughbred in this year’s Turf Classic field, but he is a monster whether on dirt or grass. America’s legend — the oldest in the field at the age of 8 — has defeated the likes of Carry Back, Never Bend and Crimson Satan, to name but a few. And the feisty gelding has already won Horse of the Year 5 times!!!! The mighty Kelso will be ridden by Ismael Valenzuela, who has been his regular jockey for the last three years, and will break from Post #13. 7. ALL ALONG (Targowice by Round Table, ex.Agujita by Vieux Manoir) is owned by Daniel Wildenstein and trained by Patrick-Louis Biancome. All Along is the second mare in the Turf Classic and one of the older thoroughbreds in the field at 6. However, she comes to us fresh off a close defeat in the Prix de l”arc de Triomphe, which she won at the age of 4, a year in which she raced to victory in the Canadian International as well as the Washington DC International Stakes. All Along has visited the Breeders’ Cup before: she finished second in the Turf Classic on her last try. Ridden by jockey Freddy Head, All Along will break from Post #6. 8. 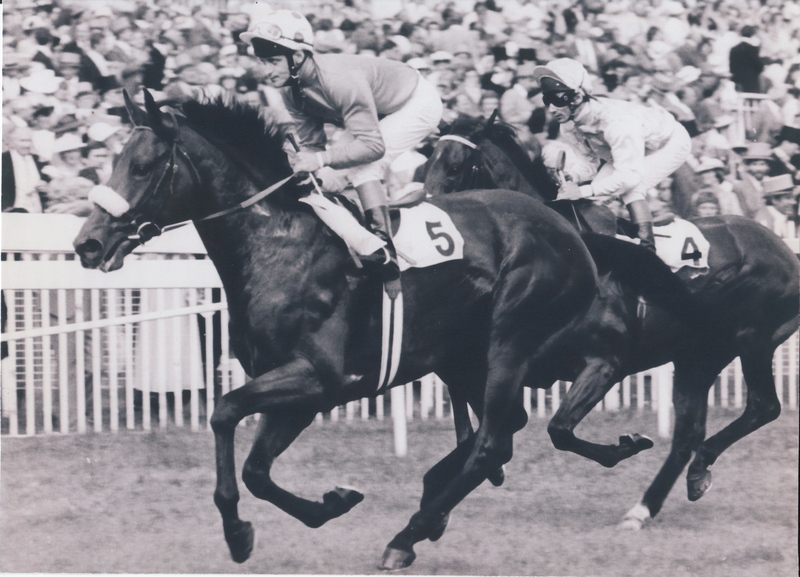 GOLDEN FLEECE (Nijinsky II ex. Exotic Treat by Vaguely Noble) is owned by Mr. Robert Sangster and trained by Mr. Vincent O’Brien. Golden Fleece joins the BC Turf Classic field with an undefeated record on the turf, that includes the Epsom Derby. 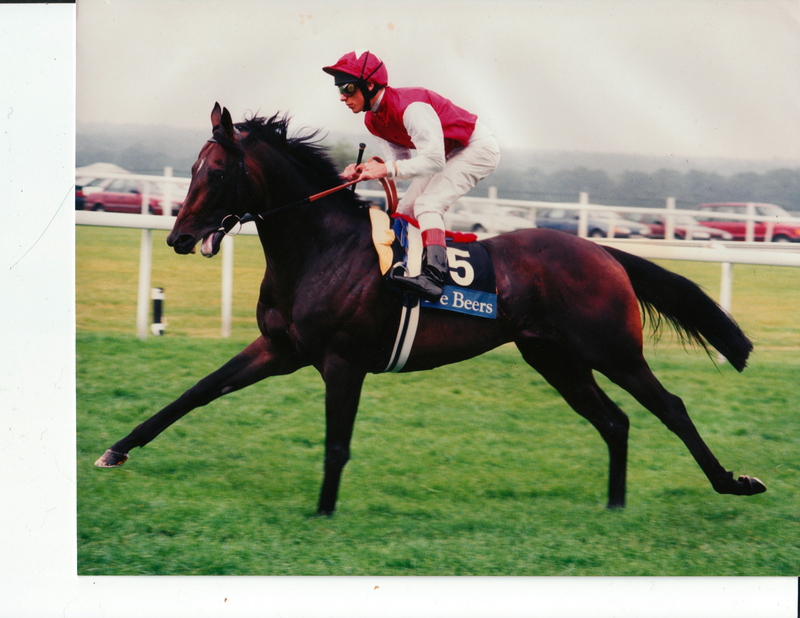 The brilliant son of Nijinsky II is considered by Vincent O’ Brien to be one of the greatest thoroughbreds he has ever trained, right behind his distinguished sire and the great Sir Ivor. 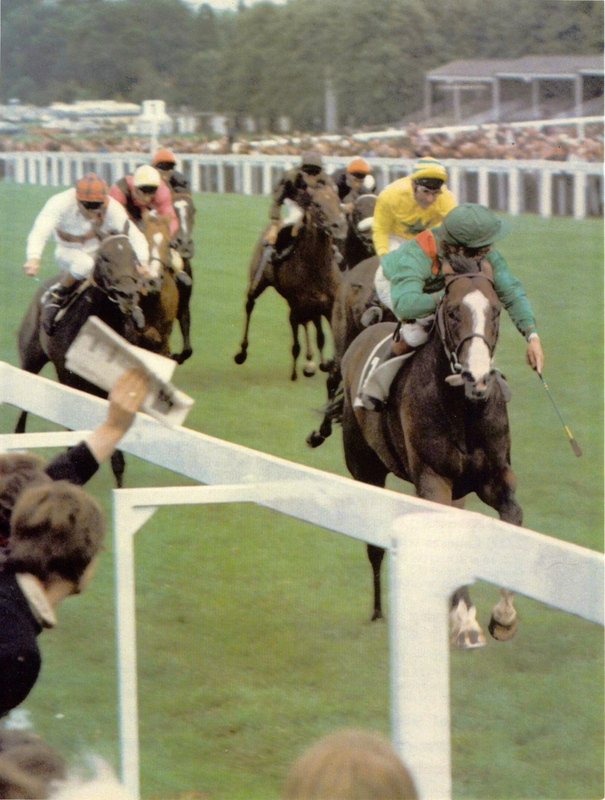 Golden Fleece will break from Post #11, with jockey Pat Eddery in the irons. 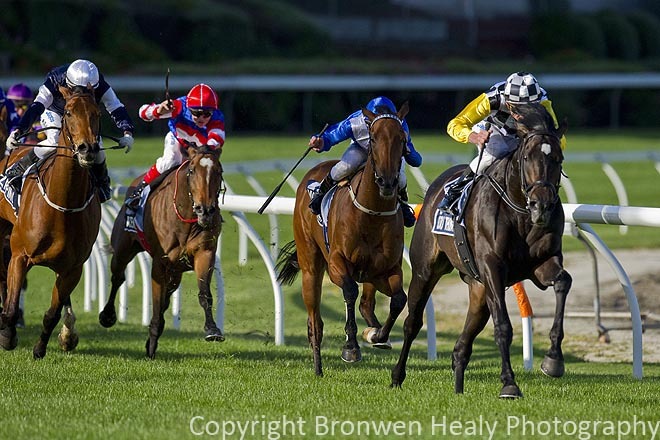 How good is Golden Fleece? Have a look here at his Derby victory…. 9. SINGSPIEL (In The Wings by Sadler’s Wells ex. Glorious Song by Halo) is owned by Sheik Mohammed Bin Rashid Al Maktoum, who also bred him. The spectacular bay colt is trained by Sir Michael Stoute, who has conditioned him to take victories worldwide, including the Dubai World Cup, the Japan and Coronation Cups and the Canadian International Stakes. Like the mare, All Along, Singspiel tried for a win in the BC Turf Classic but was trounced by Pilsudski. Ridden by Frankie Dettori, this globe-trotting champion will break from Post #9. In the footage of Singspiel, readers will be interested to find him beating a determined Desert King (sire of the incomparable Makybe Diva). 10. ANABAA (Danzig ex. 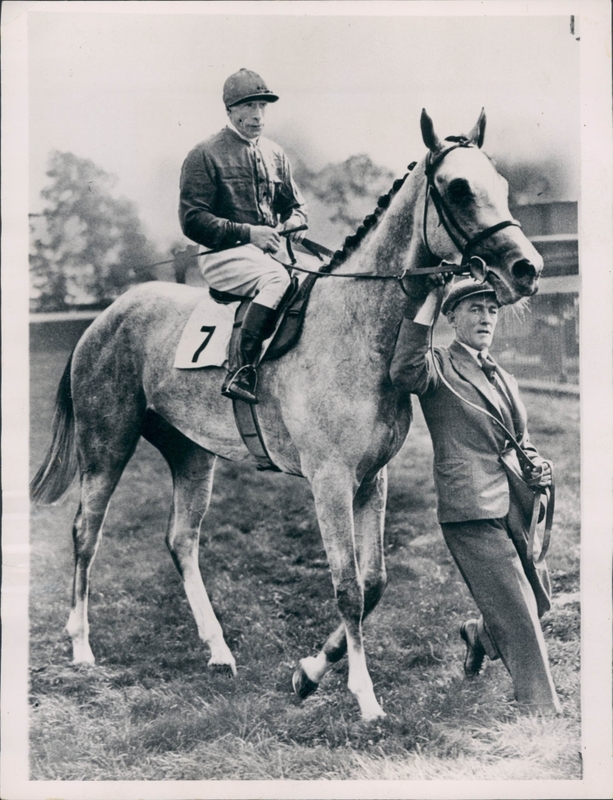 Balbonella, grandsire Vaguely Noble) is owned by Alec Head who also trains the dark bay son of Danzig. A sprinter of talent, the Turf Classic might prove a stretch too long for the colt, although trainer Head and jockey, Olivier Peslier remain confident. And why not? This is a Euro champion with a huge will to win! Anabaa will break from Post #3. 11. LAMMTARRA (Nijinsky II ex. Snow Bride by Blushing Groom) is owned by Saeed Bin Maktoum Al Maktoum and is trained by Saeed Bin Suroor. 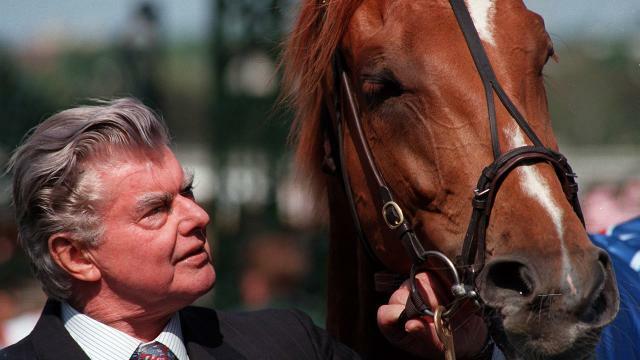 Although lightly raced (due to illness) this outstanding chestnut son of Nijinsky has never been defeated, with victories in the Epsom Derby and Prix de l’Arc de Triomphe in the same year. So stunning was his Derby win, where he seemed to materialize out of nowhere to set a world record, that jockey Mick Kinane should have no problem bringing him ahead in the stretch. 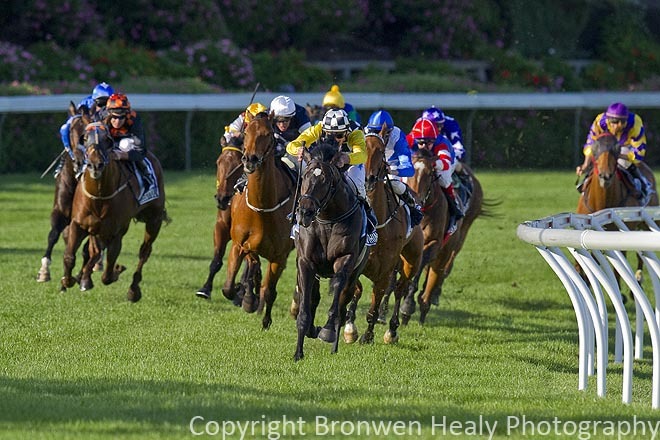 Footage of Lammtarra’s smashing Derby win is below….watch for the chestnut at the back of the pack come home! Lammtarra breaks from Post # 10. 12. TEA TRADER (Tea Tray by The Tetrarch ex. Epitaph by Absurd) may look like the “dark horse” in this field, but this big, gorgeous grandson of The Tetrarch has won the ARC Royal Stakes in Australia and another four races in Mexico and the USA. Additional information on this fellow is sparse: this reporter has twice visited Tea Trader and been unable to uncover either his owner or trainer! The New Zealand-bred is probably best-suited to a sprint, but his works have been impressive and suggest he might just have the right stuff to go a distance. Breaking from Post #4, he’ll be able to save some of that dazzling energy — Tea Trader may just prove to be the spoiler! 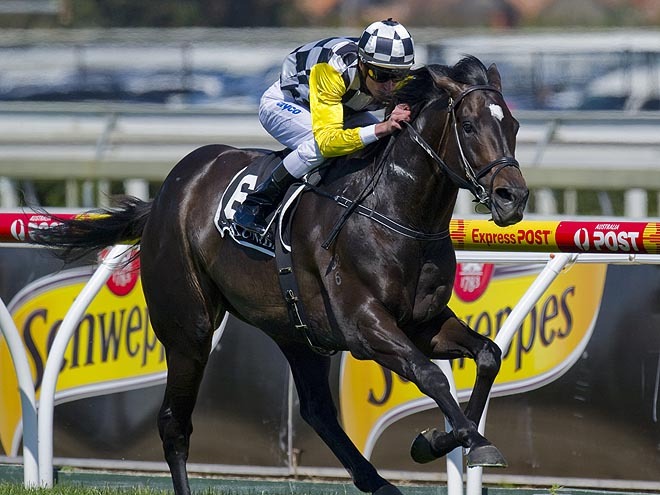 For Australasian racing fans and, more recently, thoroughbred fans in the United Kingdom as well as North America, a colt with a winning heart has renewed excitement in the sport. 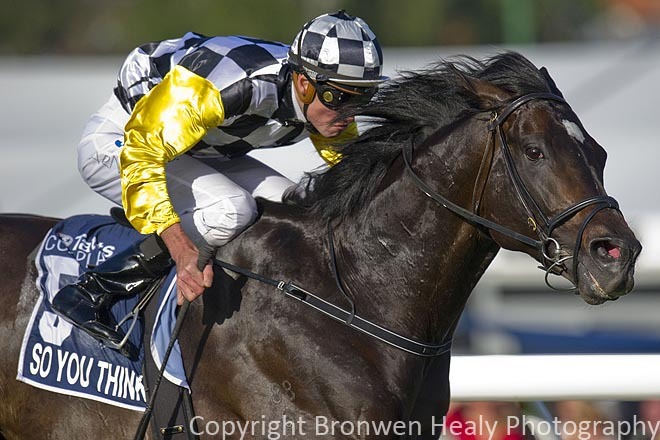 But for those who knew him first, and despite the wonders of the great filly, Black Caviar, So You Think has earned the right to stand alongside other Southern Hemisphere champions like Sunline, Lonhro, Redoute’s Choice, Makybe Diva, Denman and More Than Ready. THE VAULT is privileged to have the outstanding photography of Australasia’s most prestigious equine photographer, Bronwen Healy, to enrich our narrative. For readers who would like to see more of Ms. Healy’s work, we recommend EITHER her blog OR her website — OR BOTH!!!!! It all began during High Chaparral’s summer visit to New Zealand’s Windsor Park Stud in 2005, where So You Think(2006) was bred and foaled. 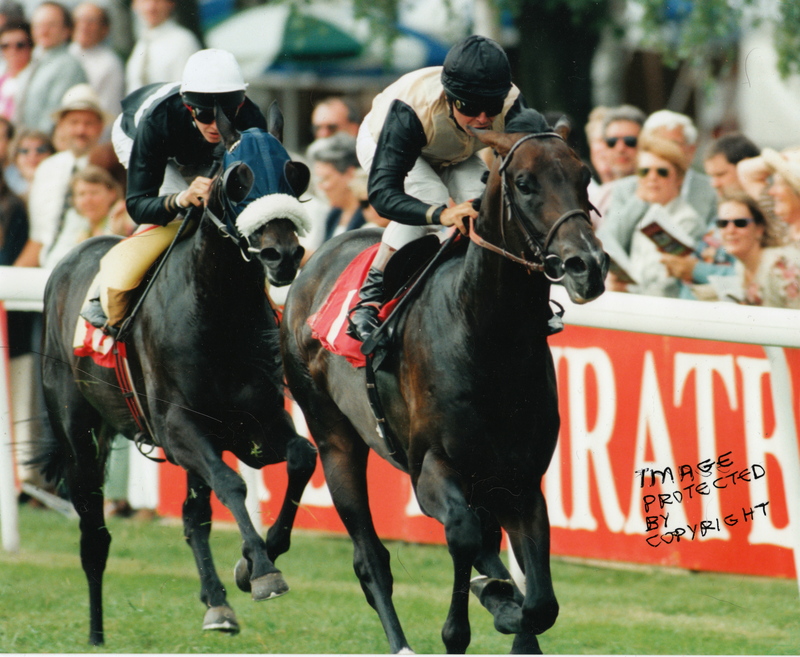 There, the beautiful son of Sadler’s Wells who had won both the Epsom and Irish Derbies, as well as the BC Turf Classic twice (the second win shared with Johar) met up with Triassac (1990), a Group 2 winning daughter of Tights (1981) and a granddaughter of the mighty Nijinsky (1967), England’s last Triple Crown winner. Southern Hemisphere breeders have long been dedicated to introducing the best genetic individuals into their existing bloodstock and the result of the High Chaparral-Triassac union, So You Think, has proved a resounding success in promoting this practice. 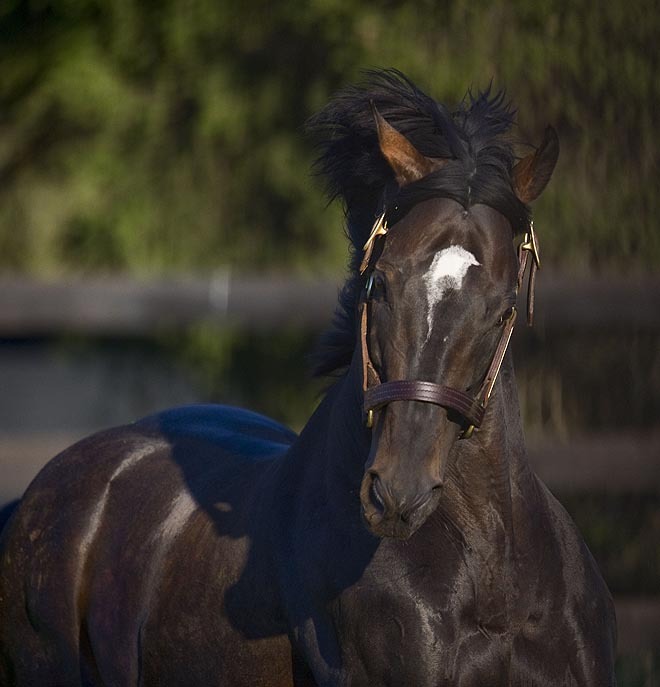 The exquisite High Chaparral, captured through the lens of accomplished Australian photographer, Bronwen Healy. Photo and copyright, Bronwen Healy. So You Think inherited his sire's beautiful face and the great heart of ancestors like Sadler's Wells, Nijinsky, Mill Reef and Round Table. Photo and copyright, Bronwen Healy. Purchased for a mere $110,000 AUD by legendary thoroughbred trainer and owner, Bart Cummings on behalf of the partnership of Malaysian billionaire Dato Tan Chin Nam and Tunku Ahmad Yahaya, the stage was set for the opening of a brand new racing narrative. For if anyone could take an arguably backward colt and groom him into a champion, it would be John Bartholomew (“Bart”) Cummings. 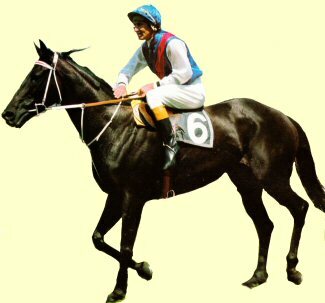 The great filly, Leilani (1970). 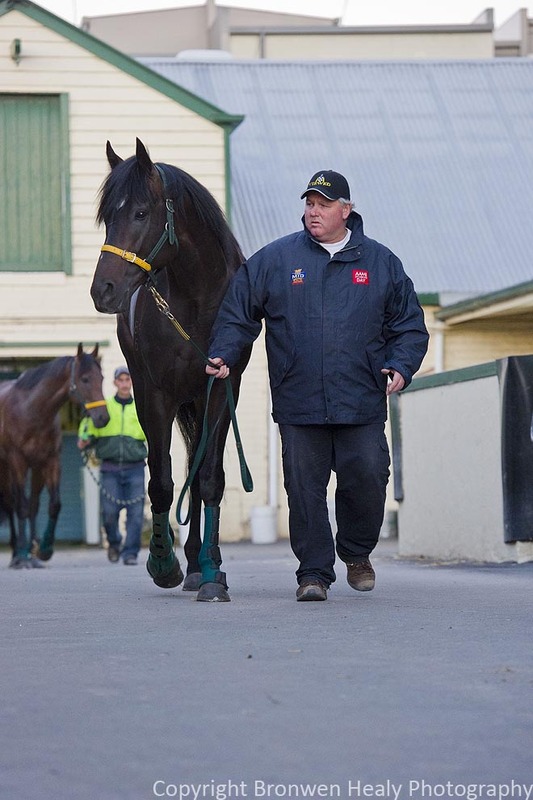 Bart Cummings and his homebred, Saintly. 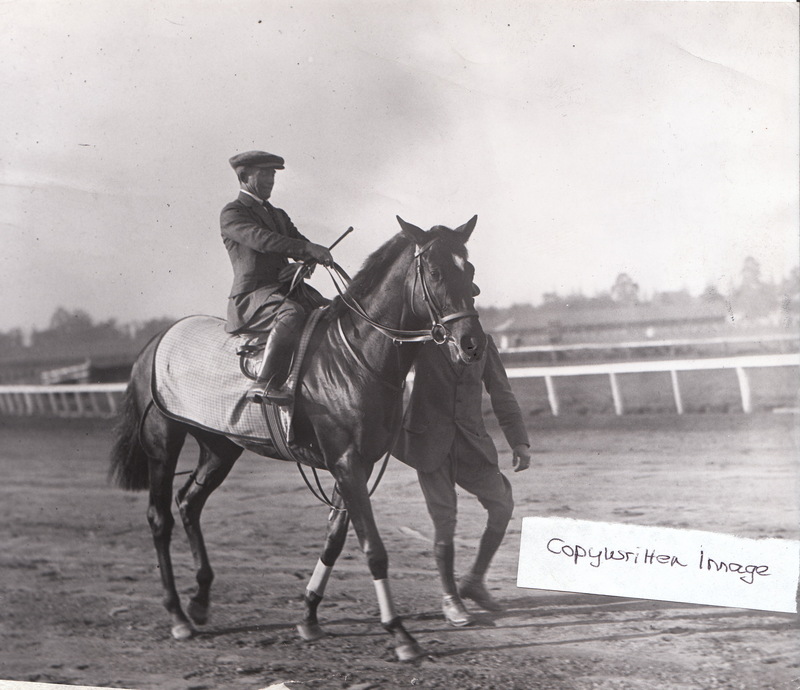 Cummings so loved this gutsy thoroughbred that he named one of his operations "Saintly Place." It was So You Think's home base during his Australian racing years. Photo and copyright, Mike Keating for FOX NEWS. 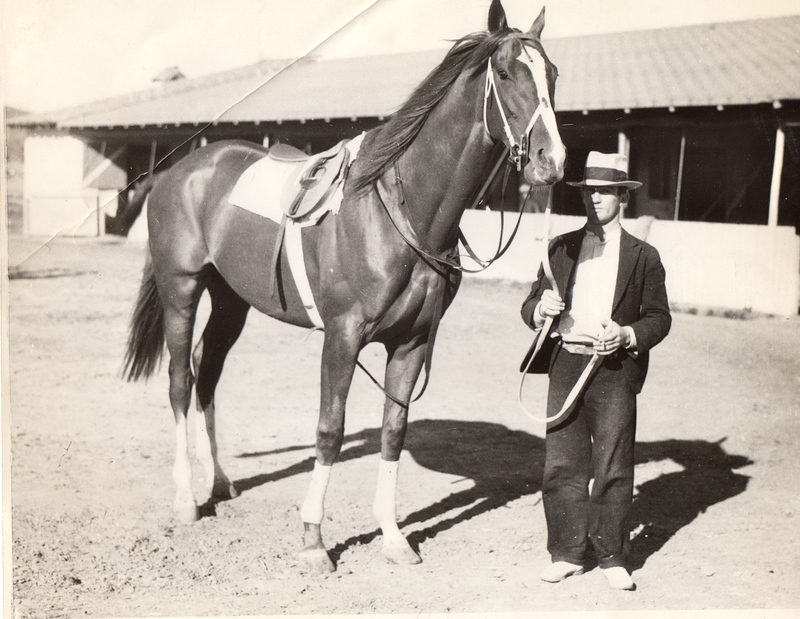 Cummings had trained the great Leilani (1970), who won half of her 28 starts and earned a record $270,870 AUD — more than any mare had ever won before her. 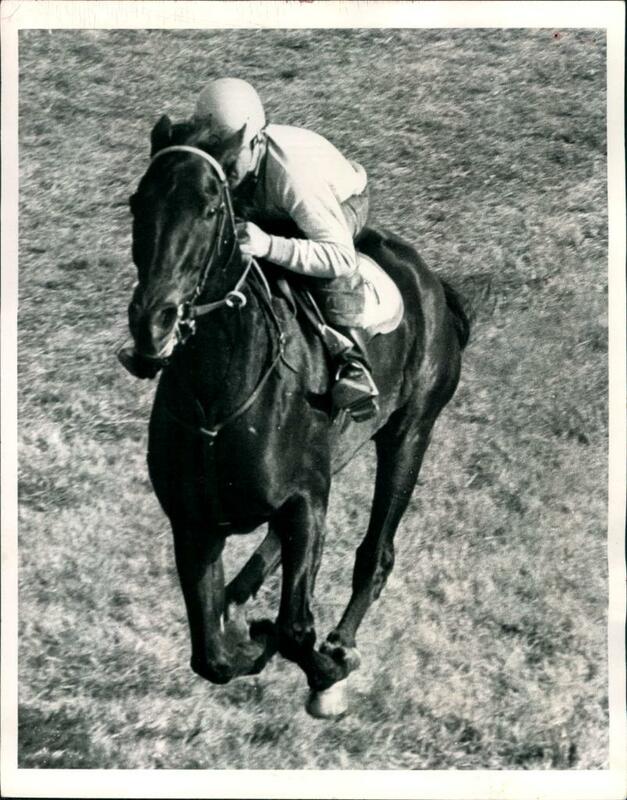 The filly’s wins included the AJC Oaks, the Caulfield and Australian cups and she scored a valiant second place finish in the 1974 Melbourne Cup to stablemate, Think Big. 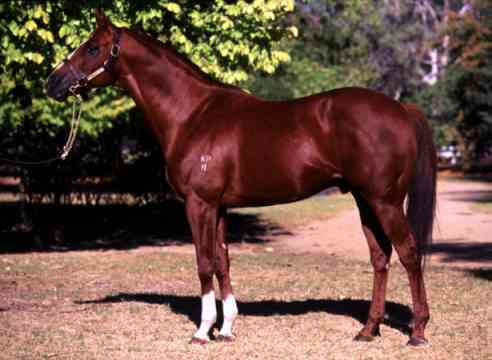 Saintly (1992) remains the stuff of racing legend in Australia, a beautiful chestnut gelding who was bred by Cummings and whose exploits on the track earned him the nickname of “The horse from heaven,” a play both on his name and the fact that his jockey, Darren Beadman, was a born-again Christian. 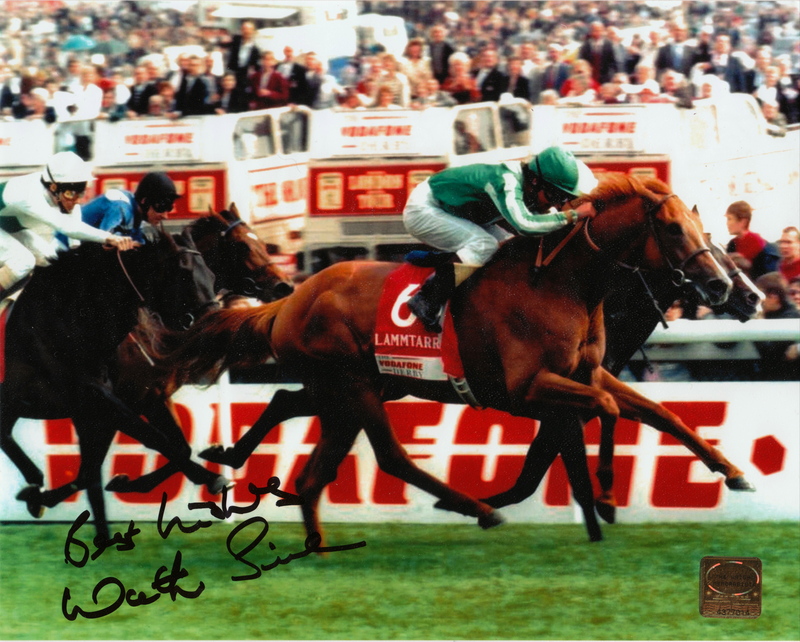 Australia’s 1997 Horse of the Year, the four year-old Saintly first took the Cox Plate before showing up a mere 10 days later to score a resounding victory in the Melbourne Cup. At the time of his retirement, the well-loved champion had started 23 times, winning or placing in 21. Together with Secretariat’s champion son, Kingston Rule, Bart Cummings’ training feats have been so spectacular as to land him at the top of the heap in 2010, with a total of 264 Group 1 winners that year. So You Think ran at first in blinkers. Here, he teams up with famed jockey, Glenn Boss, who also piloted the phenomenal Makybe Diva. Photo and copyright, Bronwen Healy. So You Think inherited his sire’s “no nonsense” approach to racing. Still, he was a bit of a “late bloomer” in an industry that favours horses who show early speed. In part, this was due to his size — So You Think needed time to “grow into himself” as many of the larger thoroughbreds do. To help him overcome a little of that early awkwardness and immaturity, Cummings outfitted him with blinkers which he sported for his single start as a 2 year-old and throughout his 3 year-old campaign. Another character trait — one that both Cummings and now, Aidan O’Brien, needed to take into serious account — is So You Think’s tremendous stamina, making it risky to let him cruise along to easy victories too often. In other words, this is a colt who needs a challenge and thrives when asked to step up to serious competition. By the time he reached the 2009 Cox Plate as a 3 year-old, So You Think had won 2 of his 4 starts. True, he needed to be approved by the Moonee Valley Racing Club to even be entered, but the decision was taken not only on the basis of his rather meagre racing credentials, but also on the undisputed fact that there was something about the big, almost black colt that bespoke celebrity. 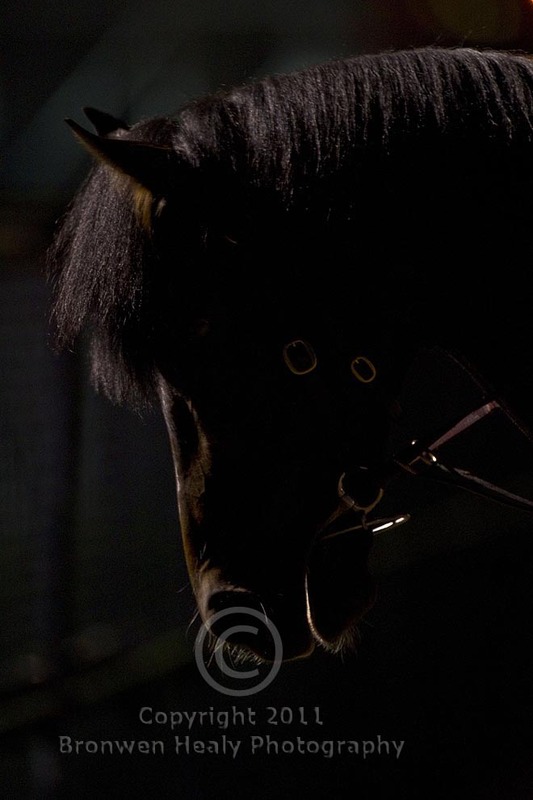 So You Think's undisciplined fringe (forelock) won the heart of distinguished Australian photographer, Bronwen Healy. Here she shows her "mop top" to advantage! Photo and copyright, Bronwen Healy. The W.S. 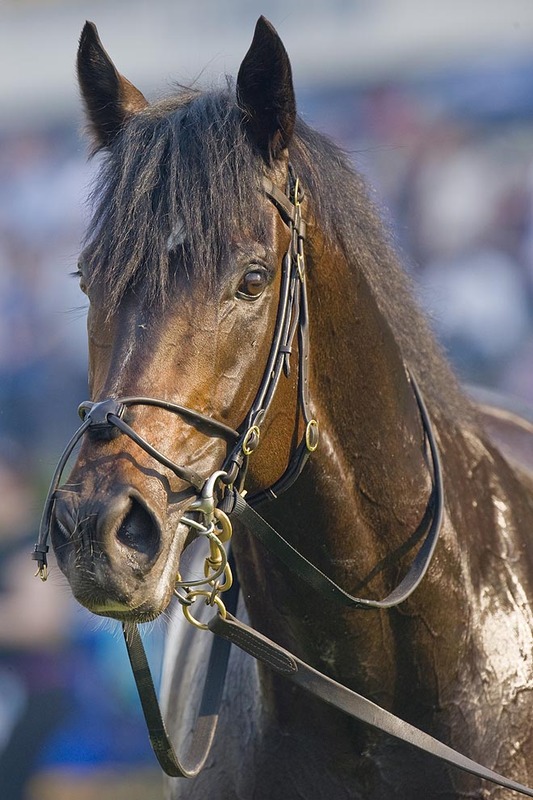 Cox Plate is generally regarded as the truest “test of champions” in all of Australian and New Zealand racing. Run over a distance of 2,040 metres, or 2,231 yards on the turf, it is open to thoroughbreds of both sexes from 3 year-olds up. Since its debut in 1922, the Cox Plate has been won by the likes of Carbine, Ajax, Phar Lap, Tulloch, Kingston Town (who won it three times), Sunline, Saintly and the incomparable Makybe Diva. Given its sterling reputation, in 1999 the race was included in the Emirates World Series Racing Championship, a kind of “grand Prix” of horse racing, together with other championship races worldwide: the King George VI & Queen Elizabeth Stakes (ENG), the Japan Cup, the Hong Kong Cup, the Dubai World World Cup, the Canadian International, the Arlington Millions, the BC Turf Classic and Classic, the Grosser Preis Von Baden (GERMANY) and the Irish Champion Stakes. Ask any serious Australasian racing fan about the Cox Plate and they will tell you, without hesitation, that it is a race where legends are made. Even veteran photographers like Bronwen Healy were stunned when they saw So You Think parading in the paddock before his Cox Plate triumph. He was an exquisite-looking individual and a horse who seemed to speak of centuries of royal blood. He regarded onlookers and fellow equines from a kind of lofty distance, as though prescient of what was to come. Bronwen Healy's outstanding portrait of So You Think evokes centuries of royal blood. Photo and copyright, Bronwen Healy. Even though he had fans before the 2009 Cox Plate victory, So You Think amassed the hearts and minds of two continents after it. He is a thoroughbred who doesn’t need to win every race he runs to garner the affection and respect of his racing public. So You Think just “has it,” has the quality of a star, of a horse as unforgettable as Secretariat or Man O’ War or Seabiscuit or Nijinsky, or of great racing mares like Sunline or Genuine Risk or Personal Ensign or Rachel Alexandra or Zenyatta or Rags To Riches or Makybe Diva. And, hard as it is to describe, all the “great ones” seem to show it. It’s in their eyes that seem to flicker over us and then fly beyond, it’s in their attentiveness to the world around them, it’s in their blood — a blood so close to myth and legend that it does, indeed, seem to transmute into gold. A mere 7 days later, So You Think scored another victory, this time in the MacKinnon Stakes, before going on to a 2nd place finish in the prestigious Melbourne Cup. The first victory of his four year-old campaign, the Memsie Stakes, came on August 28, 2010; the Melbourne Cup was run on November 2. So You Think had raced 6 times in 65 days, all in Group 1 company except for the Memsie and had won 5 times. This underscores Bart Cummings’ comment after the colt’s loss to the wonderful Rewilding at Ascot. “They’re just not pushing him hard enough,” Cummings observed and the sense of that was reflected in the colt’s new trainer, Aidan O’ Brien, who blamed himself for the loss. After which, there has been much debate among the punters in Great Britain and North America about the champion’s “real” ability. But it is our view, here at THE VAULT, that those who question his greatness will need to account for So You Think’s record in 2010-2011. Since his transfer to Coolmore Ireland, the son of High Chaparral has won 3 more races, 2 of which were Group 1’s, sustaining only the one loss to Rewilding before the end of his 4 year-old campaign. Now competing as a 5 year-old, and still waiting for Aidan O’Brien to “get him right,” So You Think has won 1 of 2 starts and the win, in the Irish Champion Stakes, means that he’s annexed 2 races in the Emirates World Series Racing Championship in slightly less than 12 months. 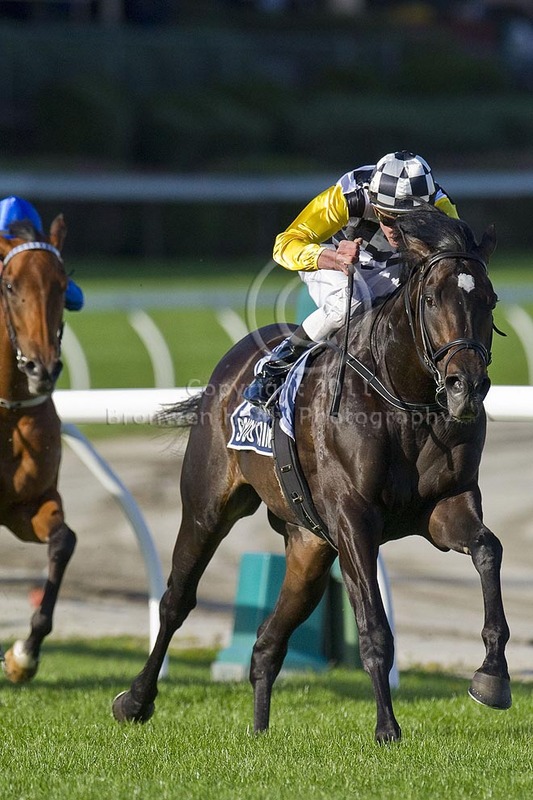 2010 Cox Plate -- heading into the turn. Photo and copyright, Bronwen Healy. 2010 Cox Plate -- into the stretch. Photo and copyright, Bronwen Healy. 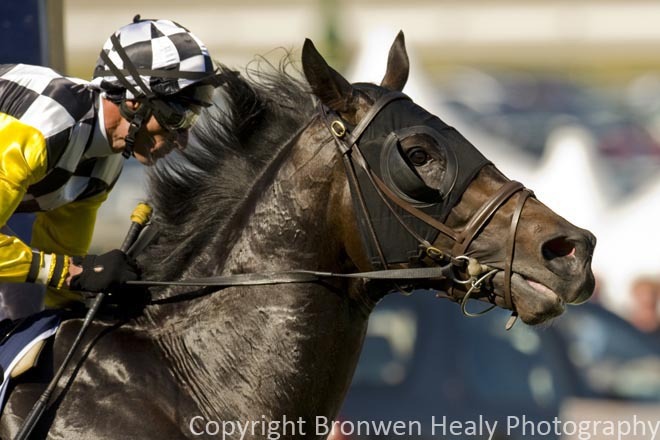 2010 Cox Plate...power in motion. Photo and copyright, Bronwen Healy. Heading for home. Photo and copyright, Bronwen Healy. Across the finish of the 2010 Cox Plate. Photo and copyright, Bronwen Healy. What kind of a thoroughbred is he, this big muscular colt with the wise, glowing eyes? In the world of horse racing, a place where skillful trainers and wise owners take the time to raise, train, nurture and support a horse with this kind of potential, So You Think is that intangible essence of courage and heart that we call thoroughbred. 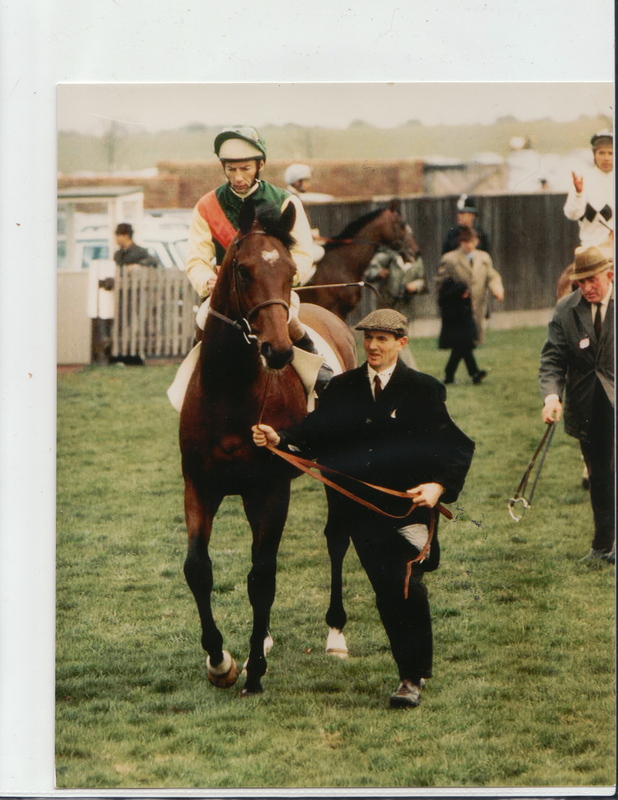 One of the last shots taken of So You Think, at Saintly Place, as he was being led onto the van to begin his journey to Ireland. His loss left even the seasoned, like Bronwen Healy, with great memories and an almost unbearable sadness. Photo and copyright, Bronwen Healy. Portrait of a champion. Photo and copyright, Bronwen Healy.